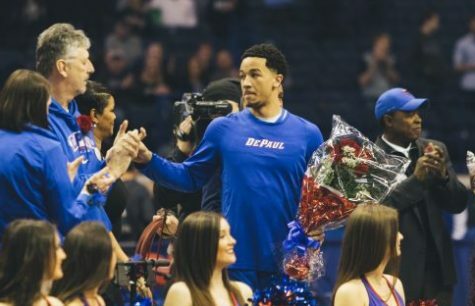 A lot has changed for DePaul and some has stayed the same since early signing period for college basketball recruits ended on Nov. 15. Still remaining are John Diener and George Maslennikov, while Flynn Cameron was added to the mix four days before Christmas. Although Cameron was with the program the second half of the year, he did not play and will instead see his first action next season. 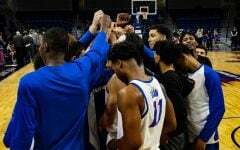 Combined with the addition of Jalen Coleman-Lands who sat out the 2017-2018 season, DePaul head coach Dave Leitao said in a press release at the time of the signings he’s happy to add two players to the team who come from winning traditions. This cycle has not come without some misfires, however: On Feb. 6 Tyger Campbell committed to UCLA after decommitting from DePaul on Sept. 2. Just over a month later DePaul missed out again on four-star big man Bryan Penn-Johnson, who committed to Washington, and they also did not make the final three for Tai Strickland, the son of former DePaul star Rod Strickland, who committed to Wisconsin on March 27 just over two weeks after receiving an offer from the Blue Demons. 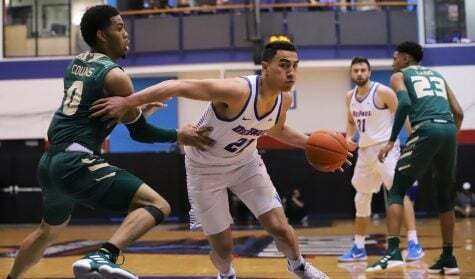 DePaul currently has two remaining spots open on their roster, though if junior Max Strus elects to keep his name in the draft the Blue Demons will have three to give. Strus has until June 11 to decide if he will opt to keep his name in the draft. 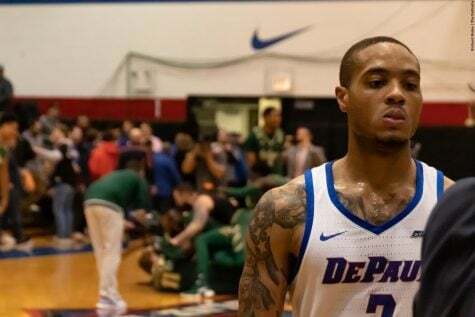 The Blue Demons will also have to replace Brandon Cyrus who announced last month his intention to transfer, leaving DePaul with a void to fill in the guard position. Along with Cyrus, DePaul will have to replace the production of Marin Maric, Tre’Darius McCallum, Joe Hanel, Peter Ryckbosch and Tobias Dwumaah. Maric and McCallum averaged 13.6 and 10 points respectively and were two of four double digit scorers last season. The late signing period runs through May 16, giving Leitao and his staff time to add to the current group; he could still opt to add graduate transfers at a later date as well. Leitao was unavailable to speak with the DePaulia for this story. Here is a look at where the current class stands. Diener verbally committed to the Blue Demons in May of 2016 and held firm signing his letter of intent last fall. 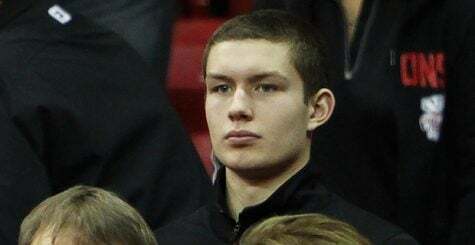 One of the highest-rated players in Wisconsin, Diener led the North Shore in scoring at 23.2 points per game, and he finished his career with 2,250 points. Diener also repeated as his league’s Boy’s Basketball Player of the Year and received all-state recognition for the fourth consecutive time. 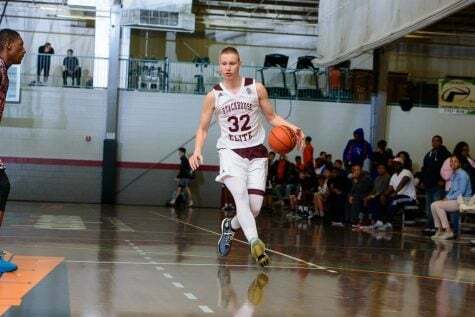 Leitao, who coached John’s cousin Drake at DePaul and worked with his other cousin Drew at Virginia, cited his familiarity with John Diener’s family as one of the reasons he believes he will be successful with the program. 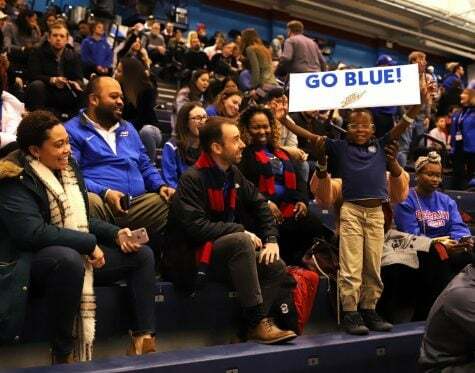 Known for his outside shooting, Diener will be depended upon to help a Blue Demon team that shot 31 percent from beyond the arc, which was ranked No. 333 in the nation. Diener also has a quick release and moves well off the ball, allowing him to get open even if the play is breaking down. As Diener continues to grow at DePaul, he will need to improve his rebounding against bigger guards. Additionally, as is the case for many young players, Diener will have to improve as a defender and be quicker at recognizing when he needs to help on defense or remain where he is. 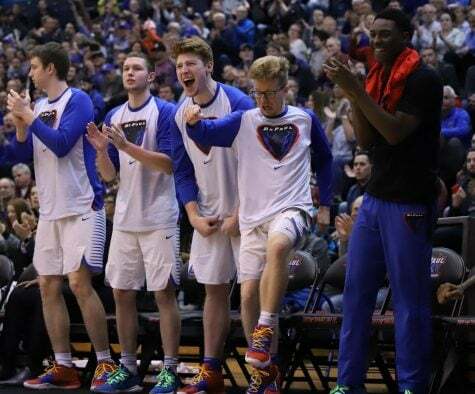 The Ukranian-born forward arrives at DePaul fresh off of consecutive state titles at Holy Spirit Prep, including the first in their school’s history in 2017. 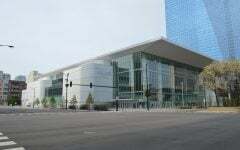 Maslennikov committed to the Blue Demons on Oct. 9. Maslennikov had a solid season averaging 13 points, seven rebounds, two blocks and a steal this season. The 6-foot-9-inch forward is athletic for his size and also has a good perimeter game. Leitao said his ability to shoot from the outside as a big man was something he and his staff admired. Maslennikov has also demonstrated an ability to create options for himself off the dribble as well as being a good finisher around the rim. Based on his film, Maslennikov looks like he will need to add to his frame to be able to compete with some of the bigger forwards in the Big East. Despite this, Maslennikov is a good rebounder, especially on the offensive glass. 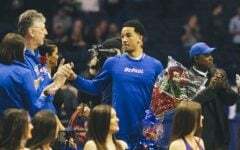 With DePaul needing to fill the void created by the loss of Maric, McCallum, Hanel and Ryckbosch, Maslennikov will likely be called upon to contribute heavily right from the start of his Blue Demon career. 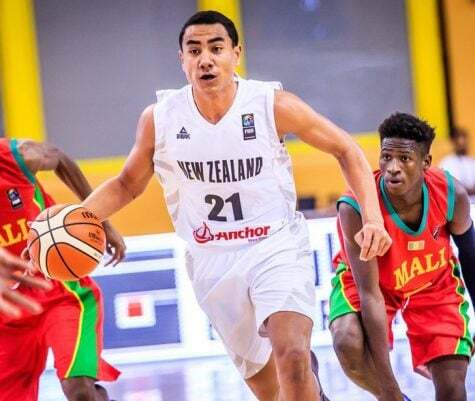 He will also have the opportunity to learn from young big men Paul Reed and Jaylen Butz, both of whom showed flashes at different points in their freshman season. 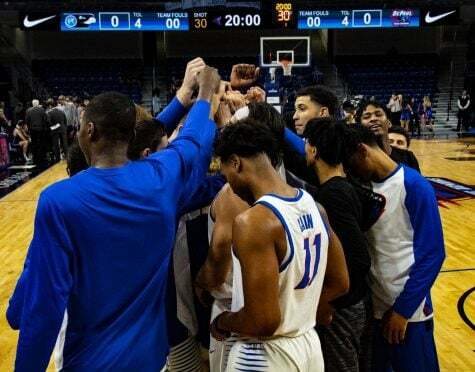 Cameron signed with the Blue Demons Dec. 21 and arrived on campus Jan. 10, raising questions about whether he would join the Blue Demons midseason as they struggled to fill the void left by the loss of Devin Gage. 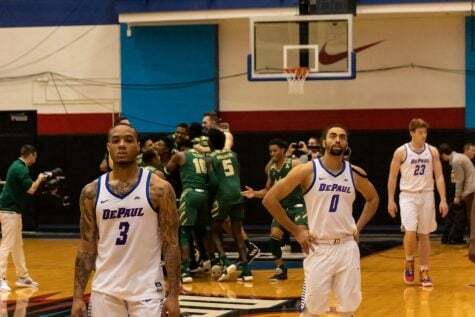 Ultimately, DePaul opted to sit Cameron out as the number of games in the season started to dwindle. 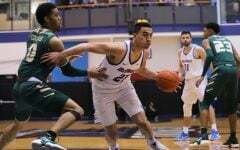 Cameron told the DePaulia in January that he regards himself as a pass-first point guard, but he is still focused on getting comfortable with the team and the flow of practice. 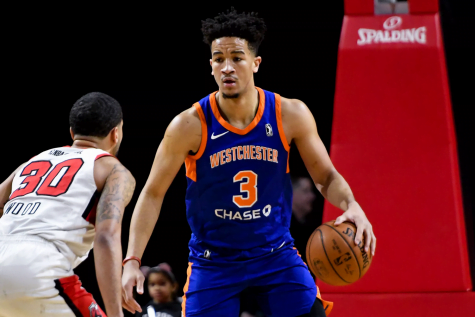 Cameron is a well-rounded point guard with the ability to get his teammates involved, and he can shoot effectively from behind the 3-point line. The incoming freshman is also a good defender who’s repeatedly shown the ability to force turnovers. As a natural left hander, Cameron said he is currently working on improving his skills with his weaker right hand. 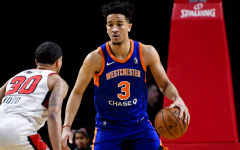 The development of Cameron or sophomore Justin Roberts will be key in allowing shooting guard Eli Cain to move back off the ball and into a scoring role. DePaul is getting a real “hustle” player in Darious Hall with tremendous upside. More garbage players for a once great program that is now straight trash! !